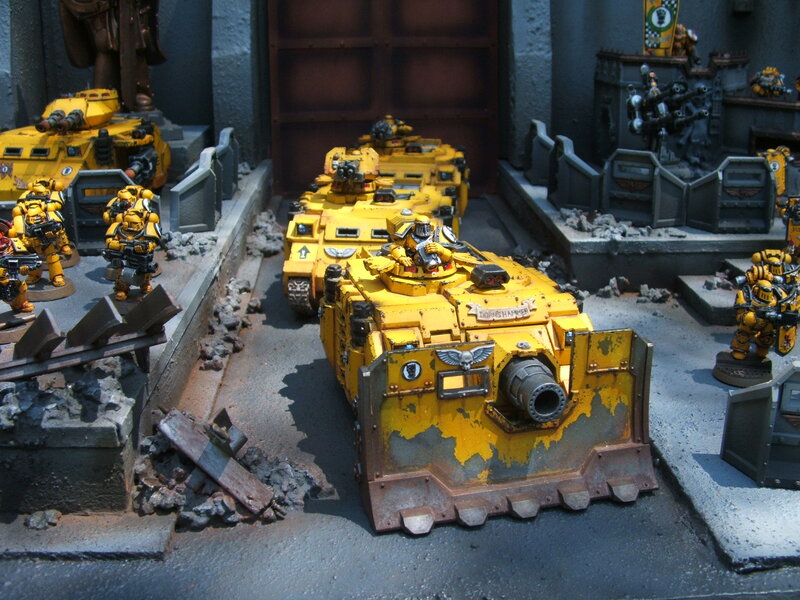 Here are some photos of my Imperial Fists army I’ve been working on of late. I’ve had a lot of fun with the Imperial Fists, both from a hobby perspective and using them on the tabletop. The army was originally intended to play primarily in games of 40k, however I’ve found games of Horus Heresy to be far more enjoyable. As a result, the focus on the army has shifted entirely to be an army designed for use in 30k. The army is almost finished now and can field around 11,000 points of fully Horus Heresy compliant units. I’m sure I’ll end up adding a few more bits and pieces though, as no army is ever really finished. Great looking army. Wonder if you could tell me where the Storm Shields came from on your Terminators? I’m not able to identify them or locate anything comparable from GW/FW. Thanks! So sorry for late reply Charles! Thanks for the kind words! The Storm shields are from the Dark Angels Deathwing terminators set with the details filed away.